Dimensions: 4 3/4" x 3/4"
Make all your guests happy using this very loveable spreader. The beautiful chrome is enhanced by the heart-shaped handle. 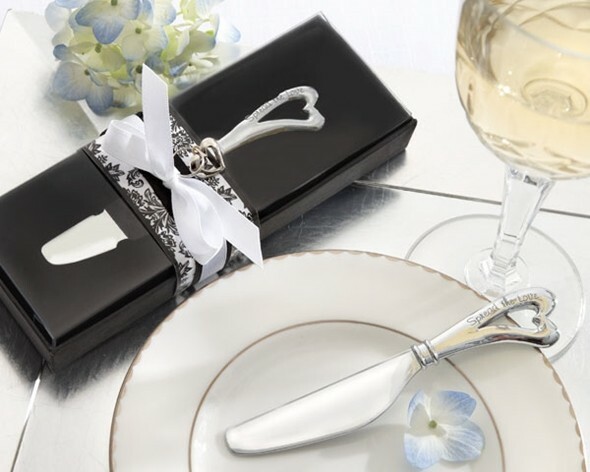 An elegant edition to any wedding and eventually any home. 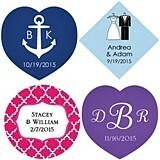 Personalized tags for your favors are available separately as Product Code: AK-31001NA-03-W.
"I'll be spreading the word around about weddingfavoursource.com to all my good girlfriends -- cause I'm amazed at the selection that you offer and your service is quick. I visited you for the first time last year, and I see that you add new items each year. Can't wait to come back next time." Nanil G.